Over 1100SF on Two Levels! This Amazing Duplex has all that you Desire! Chef’s Dream Gourmet Kitchen with abundant cabinetry and tons of counter space! Separate Living-room and Dining-room for Large Scale Entertaining! Gleaming Hardwood Floors are Everywhere! Direct Access Deck and Enormous Sun drenched Yard! Two very Generous Bedrooms with Great Closet Space! 2 Designer Full Baths! Absolute Mint Condition! 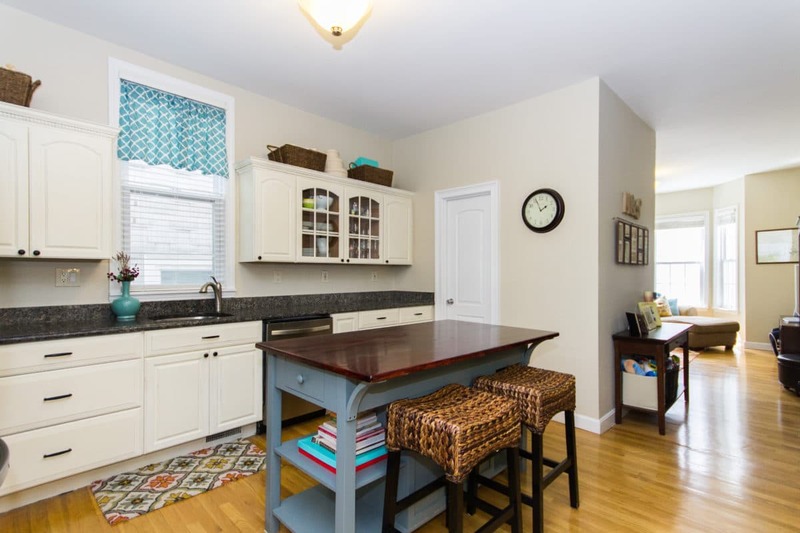 Enjoy Living in the Heart of South Boston’s Most Sought after East Side Neighborhood! Easy access to all the new restaurants & shops, T, buses & beaches! A truly Outstanding Value in Today’s Market! Don’t Miss this Opportunity! Click Here to View More Photos and the Floorplans!